The Toyota Land Cruiser 200 tops the sales charts for large luxury SUV sales in March 2019. The brawny Toyota made it to the top of the sales chart with a sales figure of 105 units, narrowly beating the 103 units of its smaller sibling, the Prado. BMW’s new X5 grabs third with 98 units sold. The Range Rover and RR Sport slots into the fourth position though its sales figure of 93 units is a small improvement over last month’s 92. In fifth place is the very capable Land Rover Discovery with 47 units, followed by the Volvo XC90 (44 units). Jeep’s Grand Cherokee sits pretty on 39 units, ahead of the Range Rover Velar on 36 units. Lexus’ new UX goes ninth with 25 units sold and the Volkswagen Touareg rounds out the top ten on 21 units. For the first time since coming to market in 2016, the Jaguar F-Pace failed to make the top ten; selling only nine units. 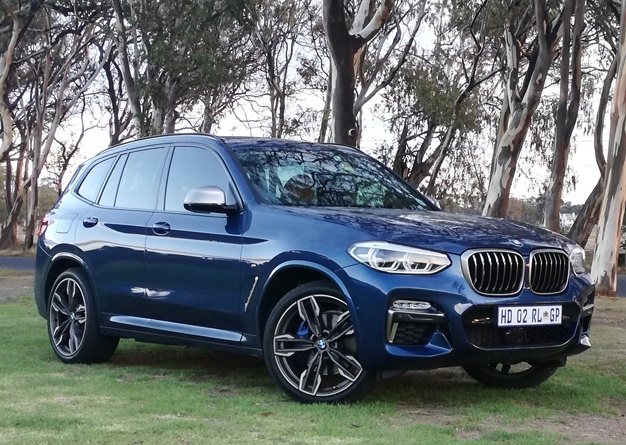 Surely, one of the BMW X3’s standout performances in terms of sales, has to be the SUV’s performance in March 2019. A stellar performance saw 218 new SUVs being signed off t new customers, leaving the rest of the category contenders eating its dust. The Audi Q5 goes second with 155 units sold followed by the Range Rover Evoque on 82 units. Volvo’s XC60 did well to secure 71 signatures, as did the BMW X4 on 65 units. Jaguar’s E-Pace slots into sixth place with 44 unit sold, and the Volvo XC40 managed a sales figure of 36 units. Lexus’ new UX made it into the top eight with 30 units, while the another Lexus, the NX, and Land Rover Discovery are tied on 25 units each. They round out the top ten.